A decade ago Pano Karatassos, owner of the Buckhead Life Restaurant Group, came to our proprietor with a challenging proposition: to formulate a coffee blend that would be the perfect complement to an excellent meal in restaurants with varied cuisines. 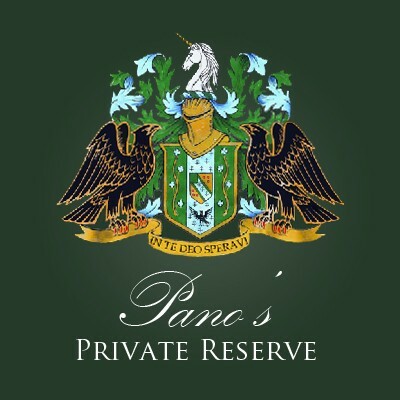 Pano is a restaurateur whose high standards apply to everything -- including coffee and Martinez, who had long lamented that coffee was "the orphan child of fine dining" welcomed the opportunity and created a blend for this nationally acclaimed Atlanta restaurateur. Artfully blending some of the finest coffees in the world, he formulated a blend that would wake up customers at the Corner Cafe in the morning, and satisfy diners after a multi-course meal at Pano's & Paul's. This dark roast blend has excellent balance, good body and aroma, moderate acidity and a touch of sweetness on the finish. Available in 16 oz. package only. Dark Roast only. -- Please Select --16 oz. Available in 16 oz package only. Dark Roast only.